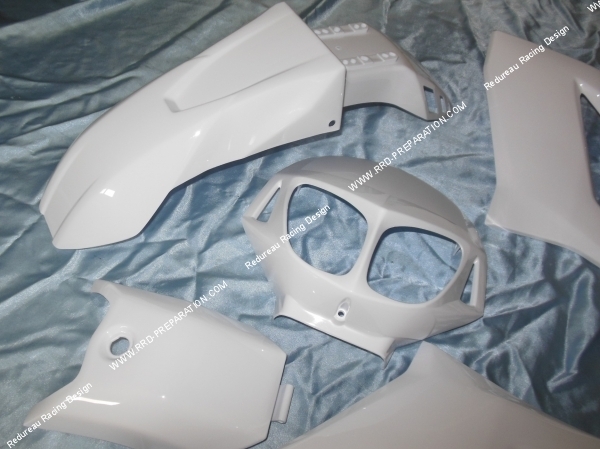 Available in black or white, a complete fairing kit ideal to restore your mécaboite DERBI SENDA DRD Racing from 2008 to 2011. 99,99 € 99.99 tax incl. 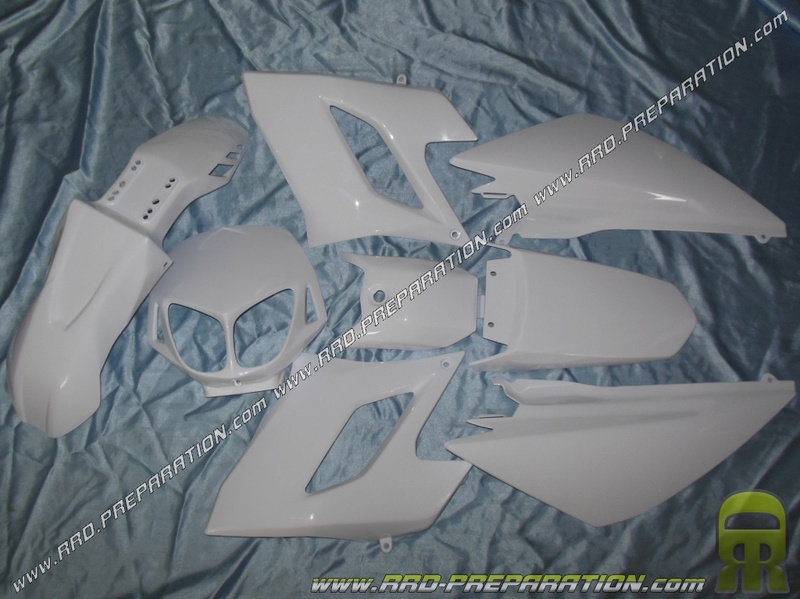 Here is the fairing kit under the brand TUN 'R for your DERBI Senda, DRD Racing from 2008 to 2011 only. 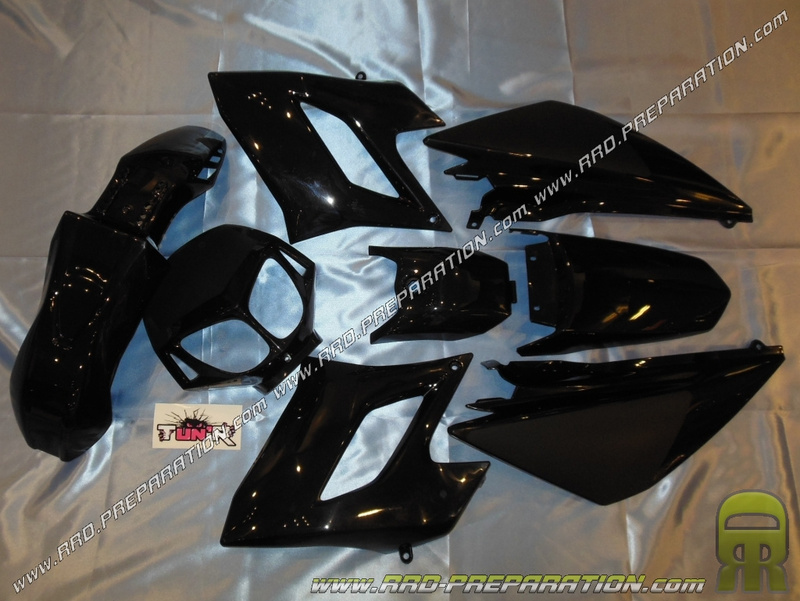 This fairing kit is really well worked and allows all to start on new shells and already painted / varnished, ready to be installed on your mécaboite. A very good economy in case of fall, breakage or crack of your hulls especially that the price of the elements of origin in concession are at high tariffs. 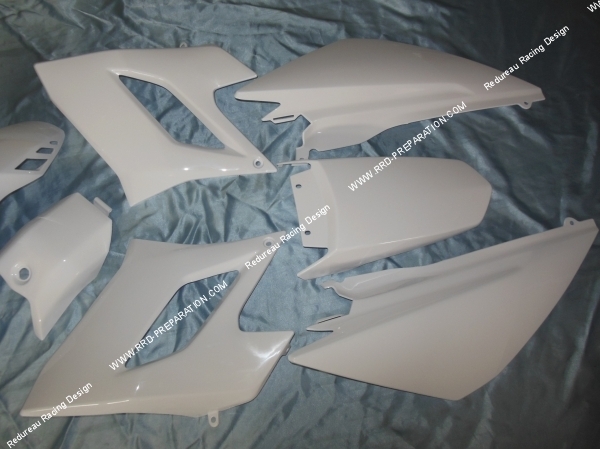 No superfluous or tuning, this kit of fairing takes again the same forms, fixations and characteristics that the fairings of origin. Available in black or white with the choices, nothing will prevent you to resume with a color personalized to your image to offer a different look to your machine. To do this, remember to use a plastic primer first and after careful sanding with fine paper in water, this will ensure optimum grip of your paint. In accessory link, you will find all items sold in separate, only available in black color. Be careful to choose the desired color before adding to cart.